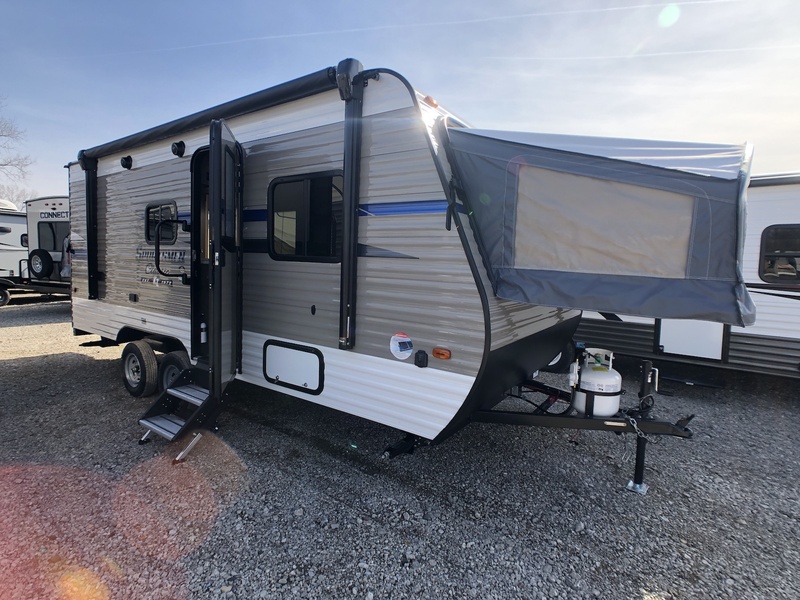 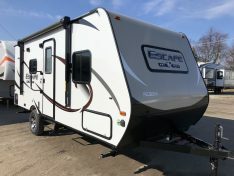 The KZ Sportsmen Classic 180RBT Light Weight Hybrid Travel Trailer has 3 fold out beds, a 3 piece bathroom, and sleeping for up to 10. 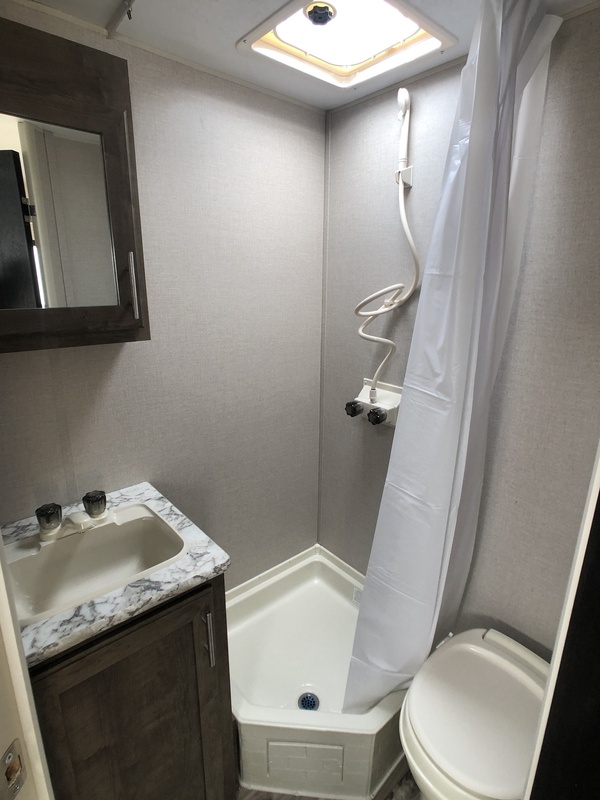 The bathroom is located in the very back with a corner shower, toilet and sink. 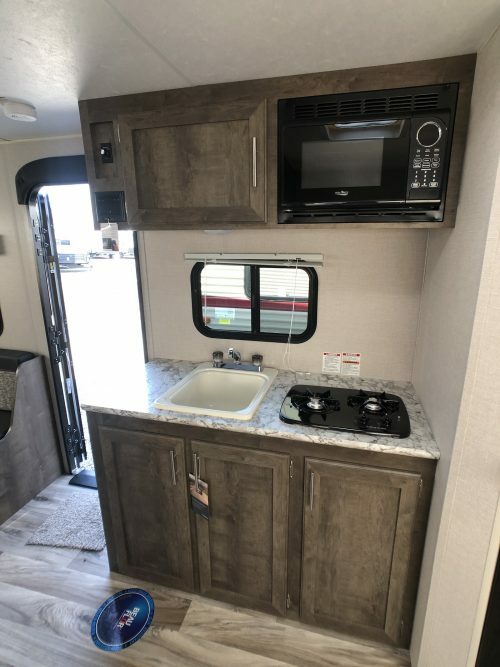 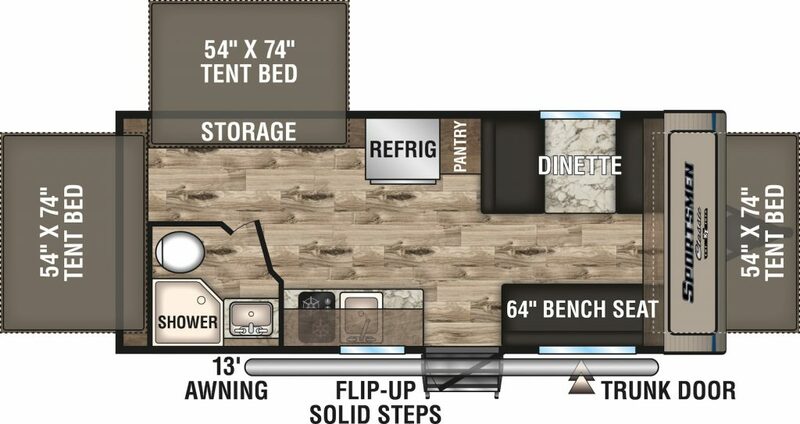 The kitchen is a mid kitchen design with a 2 burner cook top, pantry, 2 way RV refrigerator, and microwave oven. 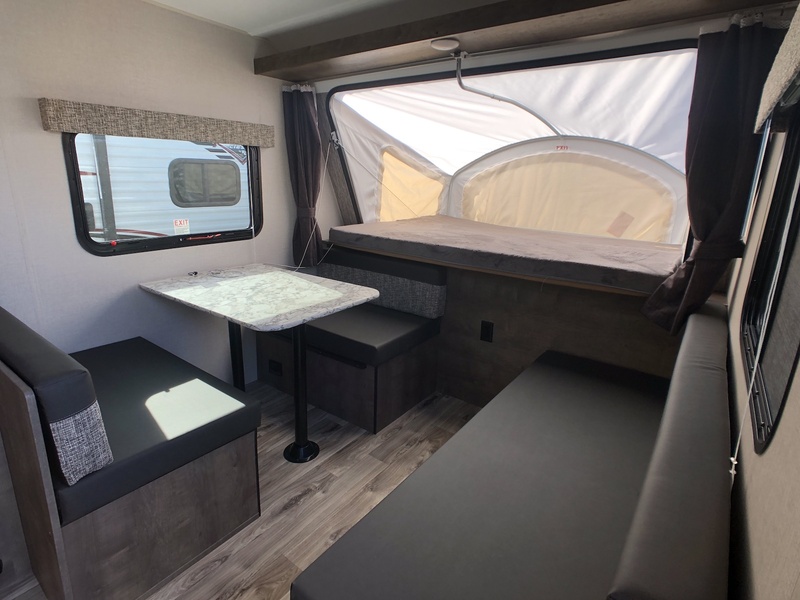 In the front there is a couch and dinette booth. 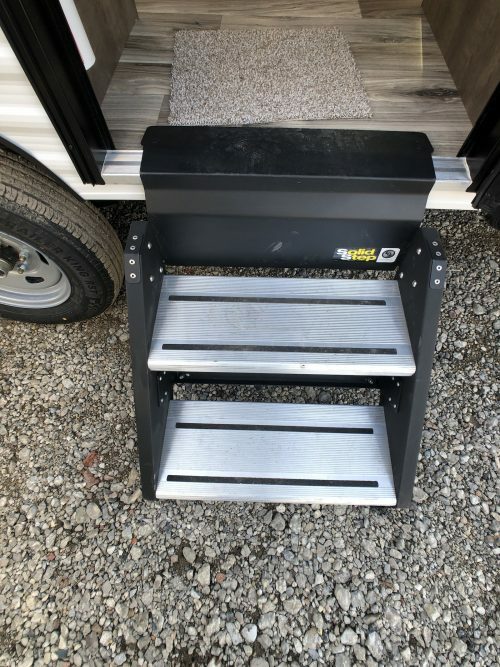 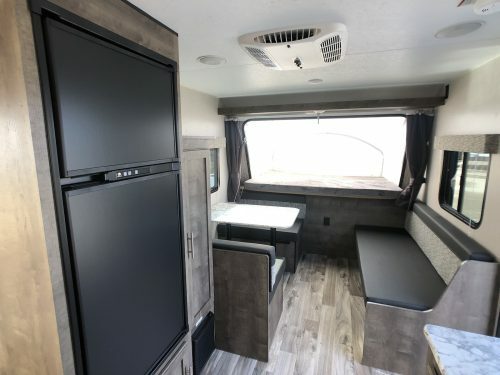 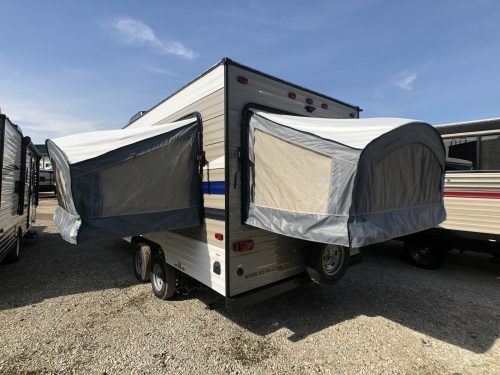 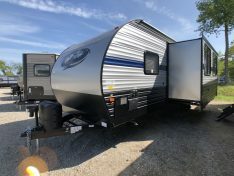 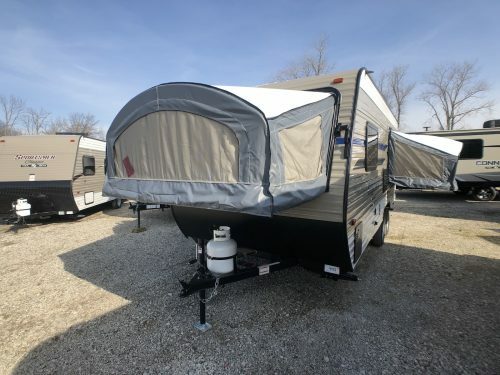 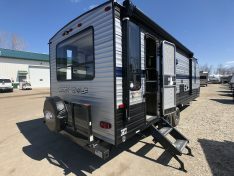 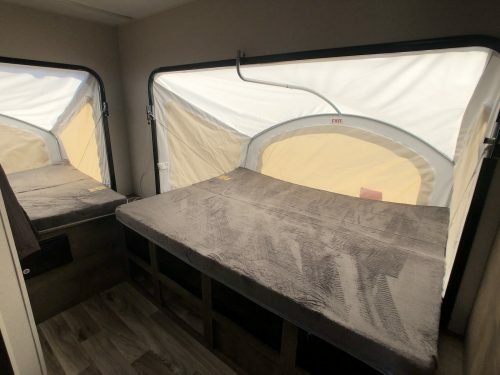 The Classic 180RBT comes with a 13′ awning, furnace, and A/C.